Mosey around the pond and stop at each light for 10 squats. Mosey to field for the following. Indian run to each corner on the field. Line up on goal line, do 10 Groiner Merkins and run to opposite end at 80% effort, 20 alt. 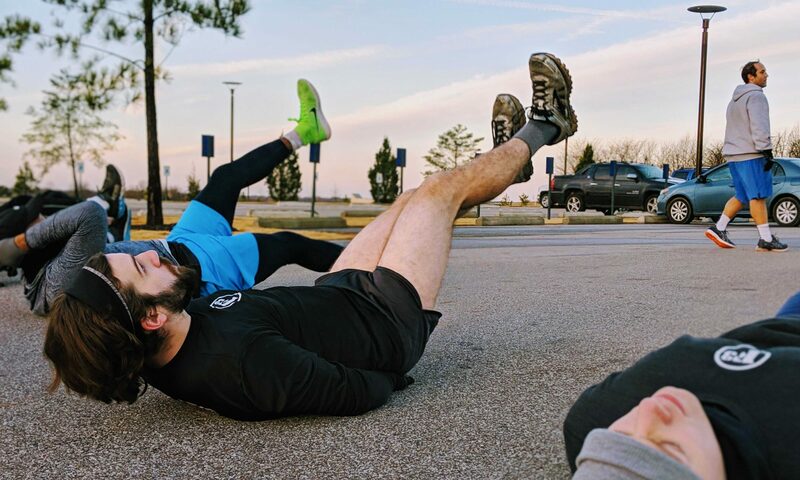 leg lunge jump and run to opposite end at 80% effort, 20 Prisoner squats and run to opposite end at 80% effort, 10 Burpees and run back to start. Be grateful for every day God gives us! We are Blessed that we have our friends, family, and the ability and freedom to be part of F3. God Bless you all! Prayers for Dial up and his family, my Father in law who is fighting prostate cancer, and Pops’ step Mother who is fighting breast cancer. Next PostNext The Deal of Death @ the MORG!! !